When the residents of a Highland care home discover that the new owners are about to substantially put up the fees, they know that dramatic action is called for. But what can a group of senior citizens possibly do against a big organisation? For Dorothy, the situation is serious. If she can t raise money she’ll have to leave all her friends, like dear Miss Ross. 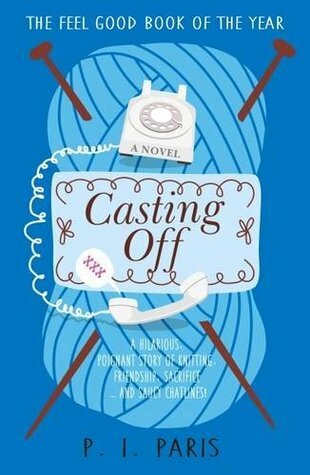 Casting Off is a hilarious, poignant tale of friendship, loyalty and sacrifice and how it s never too late to try something new. This book has to be my favourite comedy novel of the year. Set in an Highland care home, a place where people of a certain age go to be looked after in their twilight years, it follows the plight of its residents. Let’s say a very determined group of friends that will do anything and I mean anything to stay together. Really what mischief could a group of pensioners get up to? There is a saying though, there’s life in the old dog yet and that is very true in the case of these residents. This book is a little gem. I laughed at page after page of hilarious moments from the speed that a zimmer frame and pensioner can travel to the most bizarre telephone conversations and everything in between. I don’t think I could ever play chess again without conjuring up some quite different images. The thing is you could imagine everything in the book happening. The whole novel is just so very uplifting and leaves you with a good feel factor. What I really liked too was how by bringing together young and old it was quite a wow at times of how attitudes have changed towards certain situations.